At a meeting in Duluth on October 18, the state’s Public Utilities Commission (PUC) is expected to decide whether to grant Minnesota Power permission to construct a new gas power plant in Superior, Wisconsin, at a cost of approximately $350 million. It’s a public meeting; see details below on how to attend. Minnesota’s public utilities are for-profit monopoly companies that earn a rate of return on capital investments like this plant. The costs of the investment (and the return) are paid by electric customers through our bills. For that reason, utilities like Minnesota Power, which provides electricity for much of northern Minnesota, must get approval from the PUC before they can take on new construction projects like this one. 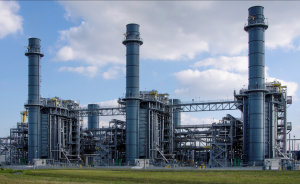 Does Minnesota Power have a need for the electricity that this new power plant would generate? If so, is this plant the most cost-effective option to get that electricity? A survey conducted for CUB in late 2017 found that Minnesota Power customers were very concerned about the price of the new plant adding to their electric bills. Seventy-seven percent of respondents were not inclined to support the plant, and 92 percent wanted Minnesota Power to do a full analysis of all energy options to make sure that a new power plant is the least expensive option before a new plant is built. Analysis by expert witnesses for both large industry and clean energy organizations found Minnesota Power didn’t have a need for the new electricity that the plant would generate and — even if it did need the electricity — hadn’t demonstrated that electricity couldn’t be procured in a less expensive way. In July, an administrative law judge agreed, and formally recommended that the PUC deny the plant. The PUC, which normally meets in St. Paul, will travel to Duluth for its upcoming meeting. This is a public meeting, and members of the public are welcome to attend (though will probably not have an opportunity to speak). We expect the PUC to take statements from and ask questions of the groups who filed expert testimony in this case, then to deliberate publicly and make a final decision. 3 Responses to "PUC decision expected on proposed Minnesota Power gas plant"
We need more wind and solar power as well as gas. As much wind Duluth and Superior get, it would be benefical to everyone. Harness the wind and solar power so it’s better for the enviorment. Solar and wind have been proven NOT cost effective in Europe, we need reliable power in minus zero temps!